Why is the world’s largest passenger plane facing the scrap heap? Airbus has confirmed it is preparing to end production of the world’s largest passenger plane after receiving no new orders in two years. The A380 was launched to much fanfare in 2005 with commentators declaring it the future of aviation. But just 13 later, and with only 222 units delivered, the entire project is on the brink. Airbus says it must build at least six of the planes each year to keep the programme running, and had been banking on a new order in November from its biggest customer, Emirates. However, the Dubai carrier chose to purchase 40 Boeing 787 Dreamliners instead. Yesterday John Leahy, Airbus’s sales director, admitted that only Emirates could save the superjumbo. “We are still talking to Emirates, but honestly, they are probably the only one to have the ability right now… to take a minimum of six per year for a period of eight to 10 years,” he said. “If we can’t work out a deal with Emirates there is no choice but to shut down the programme.” Emirates bought 50 A380s in 2013, but since then Airbus has only received one more order for the model, when Japan’s ANA bought three jets in January 2016. What went wrong for the A380? The jet has been widely praised by passengers for offering a smooth and comfortable flying experience, but the economics of operating it have proved off-putting for airlines. Simply put, every service needs to run at close to full capacity for carriers to make money. Airlines are instead opting to buy medium-sized planes, such as the Dreamliner, the A320neo, which launched in 2016, and the A350, introduced in 2015. Independent air transport consultant John Strickland told the Telegraph: “The A380 is a well regarded aircraft by airlines which operate it and by customers flying on it. Generally, however, twin-engine aircraft such as the Airbus A350 and the Boeing 777 reduce the financial risks involved with filling capacity and operating costs.” Last year Singapore Airlines, the A380’s first customer, started putting its superjumbos into storage, while in November an Irish aircraft leasing company said it was considering creating its own airline because it couldn’t find anyone to borrow its A380s. Which airline owns the most A380s? Emirates, by a long way. With a fleet of 100, it’s one of the few carriers able to get the maximum value out of the four-engine A380, and has made it the core of its long-haul fleet. Other airlines have ordered them in far smaller quantities: British Airways, for example, has 12 of them in its fleet of 270 aircraft. How many orders are outstanding? Can new markets save the A380? 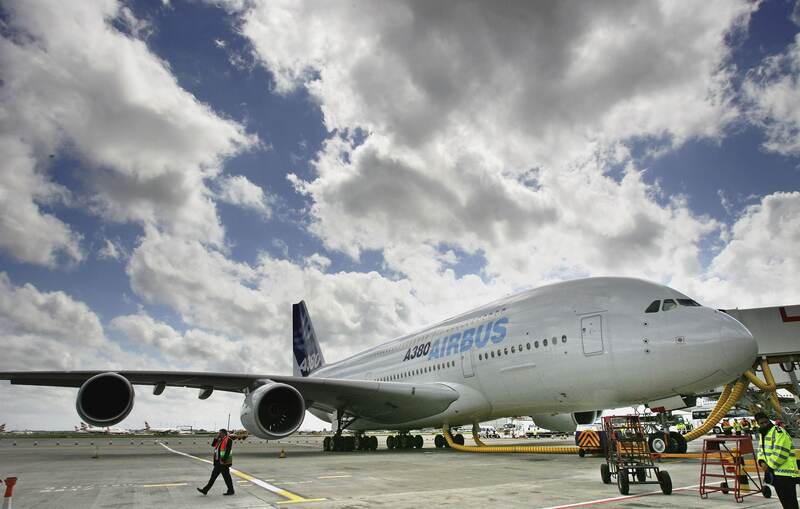 Airbus had been hoping Chinese airlines would help revive the superjumbo. China will be the world’s biggest air travel market by 2022, according to the International Air Transport Association. But John Leahy’s comments this week would suggest these hopes are fading. Besides, China has spent the last decade developing its own plane manufacturer: Comac. Its first purpose is to reduce the reliance on Boeing and Airbus planes on China’s domestic air network – but the Far East’s rising super-power also has ambitions to take its investment in aviation beyond its borders. What’s the next biggest passenger plane? Hypothetically, should every single A380, capable of carrying 853 passengers in a single class, be grounded, the Boeing 747-800 would become the largest passenger aircraft in the world, capable of carrying 700 passengers in a single class. But isn’t the 747 falling from favour? Correct. Last month United waved goodbye to its final 747 with a farewell flight from San Francisco to Honolulu (recreating the route of its first 747 service in 1970). Not one US carrier now flies the iconic Boeing aircraft, which – after almost 50 years of tireless service – is gradually disappearing from our skies. Even it’s biggest customer, British Airways, is phasing it out of its fleet. It currently has 36 jumbo jets, according to the website Airfleets.net, but a further 34 have already been placed in storage and it has said the model will be gone from its hangars by 2024. Demand for the 747, which has been tweaked and upgraded many times since its first flight in 1969, has dried up. No new orders were received last year and it is expected that Boeing will be forced to call time on the jumbo jet before long. Since 1969 Boeing has produced more than 1,500 747s. But around two-thirds of these have now been scrapped, written off, or placed in storage at one of the world’s aircraft graveyards. This entry was posted in Documentation and tagged Airbus. Bookmark the permalink.